For travelers to Iceland, the pull is the dramatic landscape, the diverse natural beauty and the chance to soak up the history of the Vikings all in a place where hot springs and glaciers are just part of the everyday. Icelanders have a reputation for amazing National Parks, but the immense Vatnajokull National Park goes one step better, as it already encompasses 12% of Iceland and is Europe’s largest by far. Its 12,000 sq. km. is home to glaciers, ice caps, geothermal oddities, underground volcanic activity, geysers and outburst floods that together combine for the most amazing geographical happenings that are unique to this region. 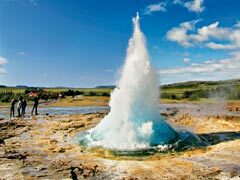 Iceland tourism depends on its lovely diversity and geothermal hot springs as a wellness center of sorts, offering spas, pools and therapeutic measures that all can enjoy amid the scenery, whether it is the dead of winter or in the summer months. Because of the natural hot water locations surrounding Iceland, it is also a great place for scuba diving excursions where Icelandic vacationers can take in the Atlantic’s best in a unique environment where diving isn’t necessarily on the must do list because of its location. 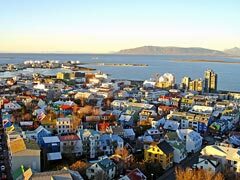 Reykjavik, the capital was settled by Norwegian and Celtic immigrants in the 9th and 10th centuries and her name means ‘smoky bay’ because of the steam that rose from the hot springs surrounding the area. The Arbaer Museum is an open air complex that houses 20 buildings including a town square, village and farm and has become one of the premier tourist attractions. This museum showcases what Icelandic life was like by exploring the culture and history of the city with costumed staff and displays. It also plays host to several festivals throughout the year. 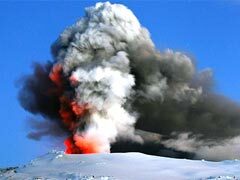 For hikes, nature walks or just a lovely sight, those traveling to Iceland marvel at Mt. Esja. Overlooking Reykjavik at 914m tall, she has several trails and pathways for the beginner to the experienced hiker to enjoy. The Pearl is the interestingly shaped place where natural hot water is stored for the city. Inside this architectural masterpiece is a domed restaurant, an atrium and a viewing platform for phenomenal city views. One of the tanks is a museum that brings the Viking age to life with wax figures and interesting displays. The Pearl is located in wooded surroundings, which are pleasant to explore on foot and at the bottom of the hill there is a geothermal beach, making this a very different and diverse stop on your city tour. Imagine peace. This is literally what Yoko Ono had in mind when she created the Imagine Peace Tower. A wishing well bottom gives way to a multitude of light beams that change with the unique atmospheric conditions that Iceland is known for. The tower is lit several times a year sending its beams high into the sky for all to see. There is nothing better for Iceland tourism than the Northern Lights. The Aurora Borealis as they are also called are a light phenomenon that is best seen between October and April. They peak between December and February and many companies offer tours of varying lengths taking tourists to Iceland on adventures ‘chasing the lights’. Another popular attraction for Icelandic travelers is the wonderful opportunity to whale watch. Up to 23 species of whale live and breed in the Atlantic’s waters giving people great trips by boat out to watch them frolic in the waves. While the general rule is that the best time to see whales is between May and September, there are tours that go out at other times during the year as well. Midnight whale watching is popular between June 15-August 15 each year as the midnight sun and the natural beauty combine for a breathtaking experience. From October 1-March 31 are winter whale watching tours that although may be colder than their summer counterparts, still allow visitors to see various species. There is also a floating exhibition center aboard a docked boat where Icelandic vacationers can watch whales and learn about them at the same time, all without setting out on the ocean. This is a great pre-tour idea to get you ready for the big adventure to come. If Icelandic tourism is built on the beauty of the region, then there is no better place to be than Laugardalur. Located in Reykjavik, this expanse of nature has the largest outdoor thermal pool in the city, a botanical garden, zoo, play areas, woods and ponds. It is also the center for sports and recreation, has an indoor ice rink, running tracks and many more things to do and see. For family vacations to Iceland, this area really does have something for everyone. Hiking the Landmannalauger, a 55km hiking trail, checking out the largest lagoon in the country at Jokulsarlon, mountain biking, or taking in the natural beauty that surrounds you, travel to Iceland is like nothing else on earth.